Great opportunity for a tastefully decorated 1 BD plus DEN condo with one of the best views in the building! New, attractive & durable vinyl faux wood plank flooring, large windows, neutral paint, and ample closet space abound. Come enjoy easy low-maintenance living in this well-located 1st floor (one level above the lobby) unit with sweeping views of the rear terrace, grassy lawn, and pool. Entrance area with hall linen closet. 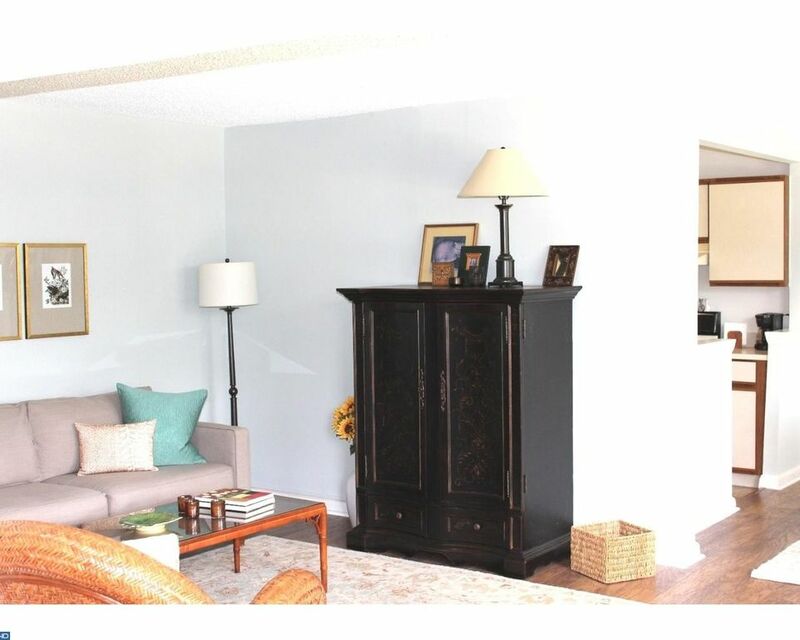 Bright Living Room opens to both the Dining Room as well as a Den/Office/Guest Bedroom with a closet. Hall Bedroom, Hall BA, and an efficient Kitchen complete this unit. On-site amenities include a secure Lobby with 24/7 staffed front desk, playground, common Laundry Room, storage locker, indoor garage parking (for additional cost), and ample outdoor parking. You'll love relaxing on the expansive BBQ Terrace and taking a dip in the renovated outdoor POOL in the summer. Radnor House is within easy walking distance of the Rosemont Train Station (on the Paoli-Thorndale rail line), Villanova Univ., Rosemont College, and is close to the Blue Route (476) and the shops, restaurants, library, hospital, and movies in Bryn Mawr. The building (inside & outside) and all of the grounds are NON-smoking & NO undergraduate students are permitted to live here. Condo fee includes bldg. mgmt., interior & exterior maintenance, lawn care, snow & trash removal, and the pool. Rare opportunity for a tasteful unit on one of only 3 pet-friendly floors (max of 1 dog/1 cat or 2 cats allowed per unit, no animals above the 3rd fl.) Easy to show - call today! 1 beds 1 Bath 700 Sq. ft.